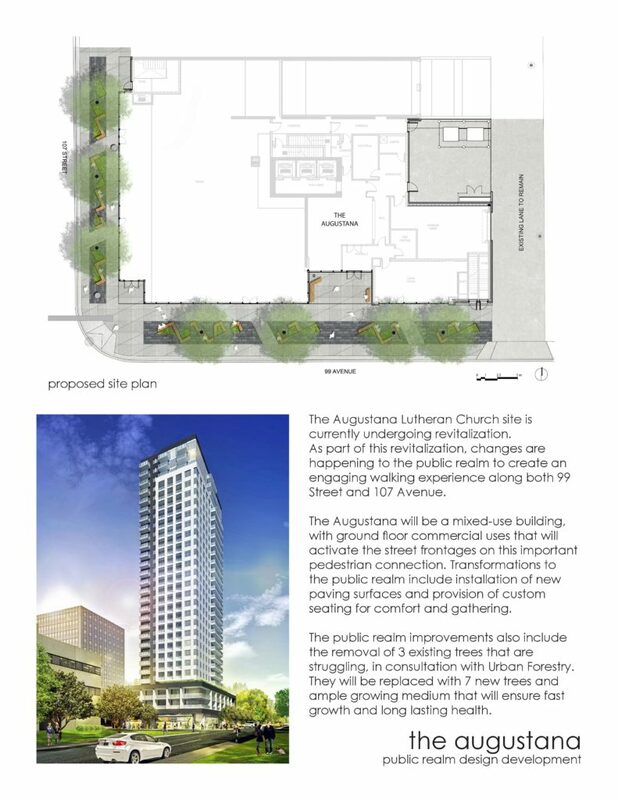 The former Augustana Lutheran Church site at 107 Street and 99 Avenue is currently being redeveloped for 235-unit rental apartment tower. This tower and rezoning was supported by DECL and approved by City Council late fall 2016. It will bring much needed residential and retail into the area. In the process of this redevelopment 3 mature trees will unfortunately need to be taken out. 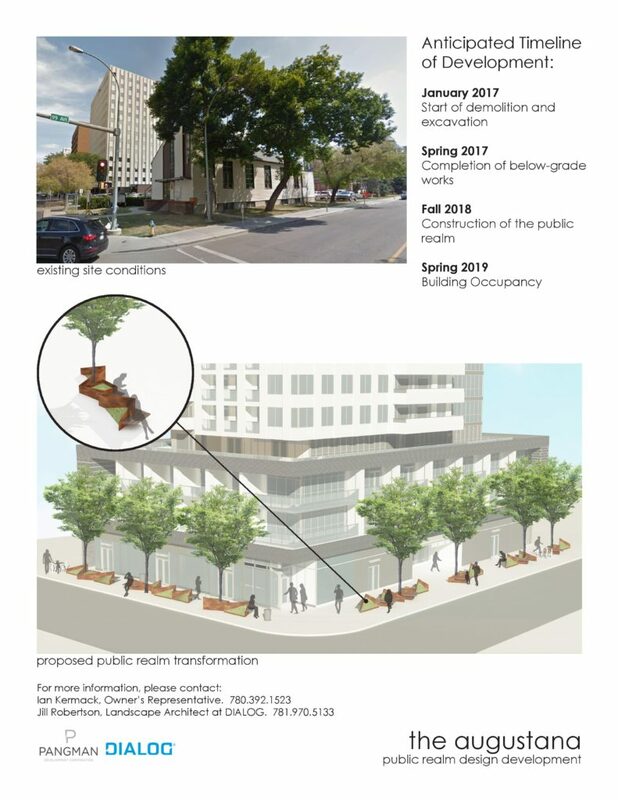 They will be replaced with an improved public realm and wider sidewalks, including 7 new trees of larger than standard caliper planted in silviculture growing medium to ensure proper nutrients and moisture for the roots of the trees. DECL was consulted on this change. We asked that information be provided to us that could be shared with our members and residents, and contact information provided should anyone have any questions. We can also pass along any questions or concerns. We were also able to confirm that adjacent sidewalks on both 107 Street and 99 Avenue will remain open for the duration of the construction.